Nearly half of antibiotic prescriptions written in an urgent-care center were for conditions that did not warrant their use, according to a new study. In an analysis published Monday in JAMA Internal Medicine, researchers found 46% of urgent-care patients in 2014 had conditions that did not require an antibiotic but received a prescription for one anyway. That could be a growing concern, as approximately 40% of all outpatient antibiotic prescriptions are now written at an urgent-care center or retail health clinic. "If we are going to be successful in improving antibiotic use to reduce antibiotic resistance, we need to address every healthcare setting where antibiotics are being used and make sure in each of those settings we maximize the appropriateness of antibiotics that are being used," said Dr. David Hyun, a senior officer at the Pew Charitable Trust's Antibiotic Resistance Project and co-author of the analysis. The demand for urgent-care centers from patients and hospitals has shown no signs of slowing down, and urgent-care patient volumes have outpaced emergency departments over the past decade. Hyun said the growth of both industries required those providers to become more vigilant to ensure antibiotic overprescribing does not contribute to the spread of antimicrobial resistance, which the Centers for Disease Control and Prevention estimates kills 23,000 people a year. "Urgent-care centers and retail health clinics are certainly going to be a major contributor in the effort moving forward to reduce antibiotic resistance by improving antibiotic use," Hyun said. By contrast, 14% of patients who visited a retail health clinic received an unnecessary antibiotic prescription, which was a lower share compared to the 17% of patients who went to a doctor's office or the 25% who obtained an inappropriate antibiotic from a hospital emergency department. Antibiotics were prescribed in 39% of the more than 2.7 million urgent-care center visits in 2014 and in 36% of the more than 58,000 patient encounters at retail health clinics, according to the study. Those numbers are still relatively low compared with the total volume of emergency department and medical office visits associated with antibiotics; 14% of the 5 million ED visits in 2014 led to an antibiotic prescription and 7% of the 149 million medical office visits had an antibiotic given out that same year. The majority of antibiotics prescribed in urgent-care centers were associated with diagnoses of acute respiratory conditions for which antibiotics are often not recommended. The findings suggest previous estimates on the number of unnecessary antibiotics being prescribed were too low. A 2016 study found one-third of all antibiotic prescriptions written in the U.S. were unnecessary for the conditions they were meant to treat, but that analysis only examined antibiotic prescribing at primary-care physician and emergency department visits. Laurel Stoimenoff, CEO of the Urgent Care Association, said urgent-care centers have been working to improve antibiotics stewardship for at least the past two years. She said a challenge in improving antibiotic stewardship has to do with the fact that many of their patient interactions involve episodic care as opposed to establishing longer-terms relationships, which would in turn provide an opportunity for clinicians to recommend against using them in some cases to patients who ask for antibiotics. "A patient will come in (to an urgent-care center) and they come in with an expectation for an antibiotic and feel you've done less than care for them if they go away without an antibiotic," Stoimenoff said. More broadly, developing a standard set of best practices for the industry to follow has been a challenge to an industry where a majority of the market is shared by as many as 30 different companies compared to other types of providers. About three-quarters of the more than 2,800 retail clinics in the U.S. are owned by CVS and Walgreens. "To roll out certain antibiotic stewardship programs, that kind of infrastructure could make it easier to streamline the process and systematically apply it across all retail clinics," Hyun said. "On the urgent center side, it's not as centralized." Stoimenoff said her association has partnered with George Washington University's Antibiotic Resistance Action Center to improve antibiotic prescribing practices. In June, the organization's medical education arm, the College of Urgent Care Medicine, released an antibiotic stewardship toolkit to provide a "framework" for clinics and facilities that routinely provide antibiotic treatment. 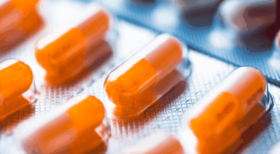 Antibiotic stewardship is similar to the debate over whether providers should work toward changing patient expectations of pain and how to treat it as a result of the opioid crisis, Stoimenoff said. Providers should have similar discussions about mitigating patient expectations and explaining appropriate antibiotic use. "When we make a satisfied patient a key component of whether you're practicing good medicine, I think we need to take a step back and ask is a 100% happy patient really one of the outcomes of good medicine, and perhaps sometimes it isn't," Stoimenoff said.